Albany Sports Business Organization is the FIRST and ONLY organization at UAlbany that focuses on the sports industry. We want our members to have the opportunity to one day be a part of this industry as a career. And if sports business isn't for them, that's okay! Our number one priority is to provide an atmosphere that is great for any sports fan - professional or not! What else is ASBO about? Before the big game we enjoyed a tour of MetLife Stadium lead by the Jets' ticketing staff. 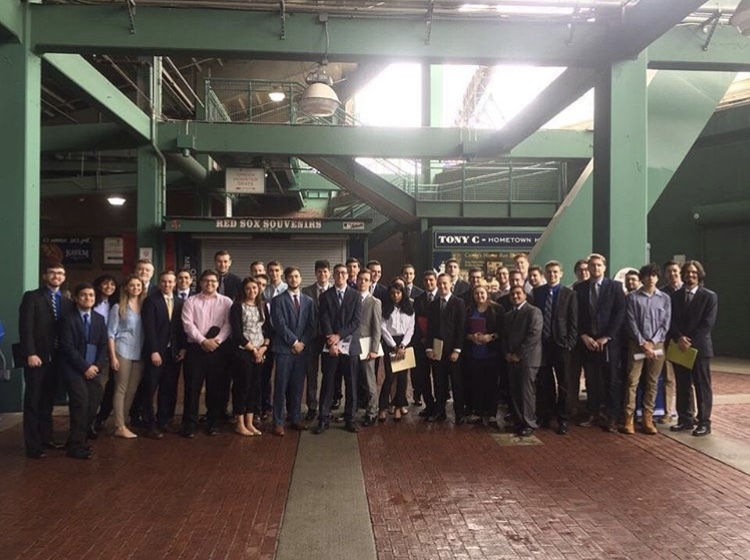 After attending a job fair at Fenway Park, we explored Boston and then watched the Red Sox win. Met up with the Yankees staff members and had a Q&A session prior to the game. Weekly meetings not cutting it for you? Check out these FREE podcasts to get your Sports Biz fix! Mike Trout is absolutely MASHING to start the season! But what else is new?